Preventive Counseling. My practice emphasizes the importance of preventive techniques to minimize litigation through counseling, coaching and training both managers and non-managers as well as Human Resources professionals. I also design complaint resolution programs and assist in the development of corporate policies and procedures that enhance corporate standing among strategic constituencies, promote more harmonious and productive workplaces and improve retention of valued staff. Factfinding Investigations. Performing a prompt and thorough investigation of a serious internal matter can provide an affirmative defense to a claim of workplace discrimination under Title VII. When you are faced with a serious internal matter, turning to a neutral, truly independent investigator holds significant advantages. 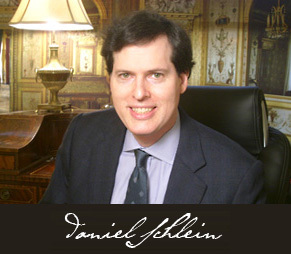 Daniel Schlein is an experienced labor and employment law attorney who focuses on minimizing the risk of costly lawsuits through employee education, counseling and training. He has extensive experience counseling both public and private sector clients as well as providing management coaching and training in harassment law and complaint procedures.